Dr. Shan is a leader in the care and treatment of heart and vascular disease. His hands-on approach is designed to give patients the information they need to feel comfortable asking questions and talking through the various options for treatment. He is continuing the long and proud history of cardiac and vascular care pioneered at The Houston Methodist. Each day, he provides patients in Fort Bend and surrounding areas with the same level of outstanding care that patients receive at the Texas Medical Center. 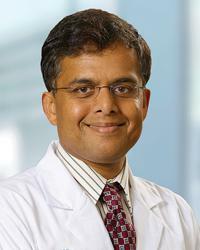 Dr. Shan is a Fellow of the American College of Cardiology. He has a long history of clinical excellence and has won a number of prestigious awards for teaching and research.